Roof Services provides Manufacturers’ Labor and Material Warranties. Roof Services is an Authorized Installer for ALL Major Roofing Manufacturers. See the FAQ’s page for more details! Should I be concerned about curling shingles? Can I place a new roof over my old one? Should I be concerned with granules in the gutter? I’m considering installing both roofing and siding. Which should I install first? Do you need adequate Attic Venting? What building codes impact my roof? There are many indicators that suggest you may need a new roof. Residential/Pitched Roofs: A persistent leak, unexplained mold inside your home or business, curling shingles, ceramic chips in the gutter and near the drainage pipe on the ground and flashing pulling away from the structure. Commercial/Flat Roofs: Persistent leaks, unexplained mold, flashing pulling away from the perimeter, or near air conditioning and other objects that penetrate the roof, flashing that is lifting, splitting or cracking, seams are opening, or membrane failure where the coating is wearing away exposing the matt underneath. Curling shingles are an indication that the oils are starting to evaporate and the shingle is shrinking exposing the plywood underneath. Water can then deteriorate the wood decking allowing water to enter your home or business. Your total cost depends on a number of factors combined. Total labor, material (repairs and new materials), old roof removal, and repairs to the underlying structure. Cheaper isn’t always better. Small roofing contractors can be cheaper, but do they have the proper insurance (See more about your contractors insurance--link) and the commitment to the business? Learn more about the Roof Services Difference. Here’s why. The second roof layer causes your roof to lose air flow which causes the shingles to overheat. This speeds up the rate at which the ceramic chips will flake off and the shingles dry out (See Curling Shingles). This also causes your home to retain a greater amount of heat causing your air conditioning system to work harder. Please note: New York State Building Code states a third roof can not be installed due to weight loads. Your roofing contractor should have a $2-5 million liability policy and worker’s compensation for anyone that steps onto your roof—even the owner. Small roofing contractors will save money by not carrying enough insurance. They can then pass this savings on to you. But if an injury occurs, you’re homeowner’s policy will have to cover the costs! If you don’t have enough coverage you can lose your home or business! 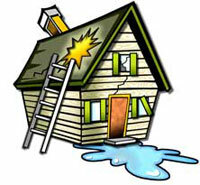 Send us an email for our special report about roofing contractors and insurance policies today! This information is too important to ignore. This depends on the roofing system, the quality of roofing materials, the quality of installation including whether the required installation methods were followed accurately. This can be as little as 10 years or a lifetime. Roof Services is expert at installing and repairing all major roofing systems; our professional installers are fully skilled in every aspect of the materials, systems and process required so you can experience the greatest life expectancy for your roof. Asphalt shingles are covered with ceramic granules to reflect water and light to protect the underlying material, and ultimately your roof. 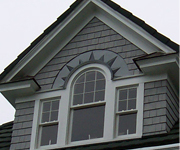 Your shingles experience erosion from water, UV light and heat. UV light and heat dries the shingles out; water wears away at the granules, some of which have been loosened by heat and light. Unfortunately, the more granules lost, the faster your roof will deteriorate. Your roof should be installed first. First, you want to protect your home from water from the top down. Second, roofing materials are heavier and it’s much easier to adjust your siding to coordinate with your roof during the installation process. Two kinds: Labor and material or material only. Labor and material warranty coverage is what you should look for. Labor and material warranties will cover the full replacement of the faulty material—at no cost to you. A material only warranty covers just that, materials, and they’re the least amount of the costs involved. A Contractor’s Guarantee is good for only as long as the roofing contractor is in business. Always ask how long the company has been in business and not just how many years experience the contractor has as a roofer. If the company goes out of business there’s no one to honor the guarantee. A 10-year contractor’s guarantee will be useless if the company goes out of business after 5 years. A Manufacturer’s Warranty is a joint agreement between the contractor and the manufacturer for the first two years of your roof’s life. The contractor is responsible for any repairs during the first two years. After two years, the manufacturer is responsible for all costs of repairs. Roof Services is a family-owned company that has been in business since 1985. We have two generations running the company and we plan on being in business for at least another 25 years and more. Always contact your roofing contractor first. The roofing contractor should act as the liaison between you and the manufacturer. A Manufacturer’s Warranty is a joint agreement between the contractor and the manufacturer for the first two years of your roof’s life. The contractor is responsible for any repairs during the first two years. After two years, the manufacturer is responsible for all costs of repairs. If you have a warranty claim, please contact Roof Services first. A blistering roof should be looked into as soon as possible. Blisters are usually caused by trapped moisture or a material defect in the asphalt shingle. A Green Roof is a plant layer placed over the water proofing layer of a flat or slightly pitched roof to help keep the building cooler. Various vegetation like grasses, mosses and other shade plants may be used. Many urban areas have begun to adopt a green roof policy due to the lack of shade trees. Studies have shown urban areas using green roof coverings are able to reduce the ambient temperature. As snow melts and refreezes it begins to form an “ice dam” at the eave of a roof which prevents further snow melt from draining properly into the gutters or other drainage system. This can cause damage to your gutters and possibly allow water to enter the building. You can learn more about ice damming and how it can be prevented by ordering Roof Services Special Report. Asphalt shingle manufacturers require attic ventilation in order for you to receive a manufacturer’s warranty, and building codes require it for the safety of your family and occupants. In fact, proper ventilation will allow your roof to “breathe”, cooling your home and extending the life of your roof. You can learn more about attic venting by ordering our special report, Why Vent Your Attic? There are a number of codes that can affect your roof. Some of the more important to watch out for are the number of layers (no more than 2 layers allowed), the thermal value for commercial buildings (must be rated R20), amount of insulation (at least 3 ¼ inches), and positive drainage (must have or add ¼ inch per foot slope, even for a flat roof to aid in drainage). Roof Services is your source for building code knowledge and compliance. If you have concerns whether your building’s roof is up to code, call us at your earliest convenience for a consultation. 99% of all leaks occur at areas of penetration: chimneys, vents, flashing, air conditioning units, etc. Usually this is due to errors in installation. 70% of the time it takes to install your roof should be spent making sure all areas of penetration are installed and water-proofed correctly. We call this Flashing Detail. This is an aspect of the roof installation process that we take very seriously. The Roof Services Difference: Our objective is for the flashing detail to match or exceed the life expectancy of the roof shingle or membrane for every roof system we install. We recognize where the “leak liabilities” exist and we take the time to address them to dramatically minimize the possibilities of a leak during the second half of your roof’s life expectancy. It’s during this time period (for example, the last 15 years of a 30 year roof) that most errors in installation of the flashing details occur. Lack of proper attic venting, unauthorized penetration work (anything that penetrates the roof without the knowledge and assistance of the original roofing contractor; added vents, air conditioning units, etc. ), any materials stored on the roof, and neglect or lack of proper maintenance. Please contact us if you have any questions concerning your warranty. It’s a large investment to replace a roof. Residential roofs can run between $6000-14,000 plus depending on the size and materials. A commercial roof can easily be hundreds of thousands of dollars. A Residential Roof doesn’t usually require a lot of maintenance, and most can be done by the home owner. Removing debris from gutters is the usually all that is required. However, if you’re concerned about the condition of your roof, you can schedule an inspection with our Repair & Maintenance Division (link). A Commercial Roof will greatly benefit from semi-annual inspections and maintenance. This will prolong the life of your roof investment and help to avoid costly leaks and the internal damage water can cause to the infrastructure, electrical equipment, furniture, and flooring—not to mention liability claims if a customer or occupant slips and falls. An inspection and maintenance visit includes checking to see if all the flashing details are in good condition (damage, cracks, loose), the drains and drainage system is clear and running free, any unwanted vegetation is removed, unwanted materials are removed, like balls, sticks, bottles and other debris, and the roof surface is not deteriorating. Commercial Warranty Plans: We offer maintenance on a one time basis or on a semi-annual schedule. Costs depend on square footage and the accessibility of the building. Call our Repair & Maintenance Division for a free consultation. Our trained, dedicated team provides specific, individual attention at an affordable price.